DUST OFF THAT BAG | Thoughts of a Calabarboy. 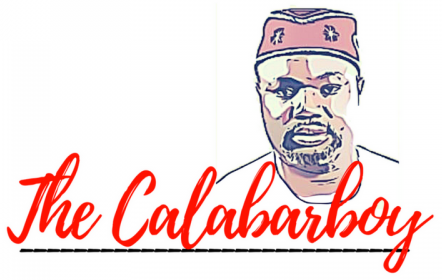 DUST OFF THAT BAG – Thoughts of a Calabarboy. A few days ago, I was slouching on the bed early in the morning and subjecting my thoughts to The Father when I suddenly noticed a hand bag belonging to my wife neatly tucked in the shoe rack. This is the first time I was paying attention to the location of bag. It is a black, mid-sized, Dooney and Burke hand bag (women will understand the fashion value), and I remember that my wife spent a little bit to acquire this a few years ago. She carried it everywhere and it was probably one of the most precious functional day-to-day fashion asset for her at some point. Today, it is displaced and finds itself among the shoes gathering dust. Right there, The Father shifted my attention to the bag and as common with Him, taught me within a flashing second what the bag represented in my life. How did such a prized bag, still in a great condition, end up in the wrong place and become unattractive and unnoticed? Something else took its place. Obviously another possession was acquired and all of a sudden this one lost it place and fell out of favour, even though it retains it actual value for which it was initially acquired. What is even more interesting is that the bag has no tears or marks of depreciation. So what changed? Clearly not the bag. The owner’s preference changed as well as her allegiance to the bag. This is what The Father was getting me to understand. I invest quality time getting to know Him and pressing Him for details of my life and future and He graciously responds, only for me to momentarily enjoy that divine understanding and eat of its produce, then proceed to acquire new concerns and relegate that fellowship to “the shoes rack” to gather dust. I then realised that what my wife’s bag represented was a major I conditioned I suffered the worse from. My mind raced to several shoes I had under the bed, some of which I lusted terribly for till I bought them, wore them once, and never touched them again. It was just so convicting how the little issues of my life are far more indicative of the type of relationship I have with my Heavenly Father; a fickle and un-sustaining fellowship. I simply deprive myself of the true value of His Fatherhood when all I do is come to Him for a few feel good moments and then go to gather more worldly concerns, “pierce myself with many sorrows”, then come back for another dose of a feel good moment. While the Father respects my choices, He longs to be heavily involved in my life every day. His desire is that I make the choice to put Him first always, and stay continuously in true fellowship with him, and not allow the relationship gather dust and be relegated to a place not fitting for it. It ached my heart to realise that I do many times treat with disdain the most important concern of my life. At the recesses of my mind I know I have access to the solution to everything in life, so I simply age that thought and pursue my agenda till I feel bad or feel dry. Our Heavenly Father is not just about meeting our needs. He wants us to become just like Him. This only happens when we spend quality and sustained time with Him, outside of our earthly desires, to listen to Him, and be inspired by His thoughts about our lives, our families, our work, and the world. His goal is to see Himself in us and this will take time and consistent interaction with Him. Just to clarify that I do not mean the 30 minutes of reading through passages in the Bible and praying through a list of requests to fulfil a religious call to duty. It is way more than that. His call is one of true fellowship. This transcends who we are and what we want, to focus on who He is and what His will is. It is a deeper conversation about His life, His creation, His purposes, His desires, His preferences, and His activities around you. Every time I have enjoyed this kind of fellowship, I receive a new pair of eyes to see the world, a new mind to reimagine things, and new heart of love for the people around me. This is where true change happens and I just wonder how I can allow my earthly pursuits to sideline the one thing that makes earthly living meaningful. Time for a real change and it is my choice to make. Here’s hoping you also make the choice for true fellowship. → A TRIBUTE TO MY OUTGOING PRESIDENT: YOU SIR, HAVE MY RESPECT.